Many councils throughout the UK require that you pass a taxi assessment test to drive a taxi or private hire vehicle. The taxi assessment test is a standard used to ensure that your driving ability is to an acceptable level of safety, appropriate consideration is provided to passengers and that you have sufficient knowledge of the Highway Code and of your vehicle. For establishing that you have a sufficient level of maintenance knowledge for your vehicle and that consideration is provided to passengers, you’ll be asked questions specific to the taxi driving test. 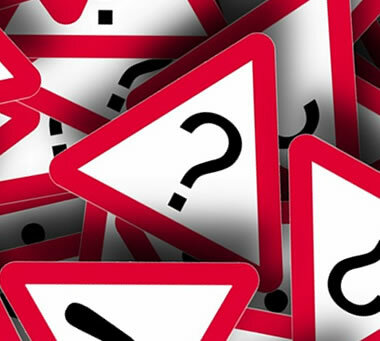 Referred to as Cabology questions, towards the end of the taxi test you’ll be asked a series of questions, along with questions to identify road signs and road markings. The cabology questions vary depending on whether you’re taking the Hackney carriage (black cab) or private hire taxi test. Taxi driving test questions for both tests are detailed below along with answers. As a licensed taxi driver, what must you wear and clearly display with you at all times? If you found an item of lost property left in your taxicab, what would you do with it? Either hand it into a police station or local licensing office within 24 hours, depending on local regulations. 1.6mm across 75% of the width of the tyre and around the entire circumference of the tyre. If the tyre pressures of the vehicle you are driving are 35psi at the front and 40psi at the rear, what would you consider the correct pressure for the spare to be? 40psi, because it would be easier to deflate than inflate a tyre at the roadside. As a Private Hire taxi driver, what is your main responsibility? The safety and comfort of your passengers. Stop close to the kerb and avoid proximity to obstructions (street furniture, trees etc). The questions below are only used on the back cab Hackney carriage test. What is the length, width and/or height of the cab you are now with? What are the correct tyre pressures for the cab you are now with? Whilst driving a taxicab, how would you know if the rear automatic door locking system became inoperative? As a Hackney Carriage driver, what is your main responsibility? hi, i want law questions about taxi driver licence . some one help me. My question is how did you learn the questions and answers could you send plz? I failed my first test with rochdale council, any chance you could lend a hand? I am doing a taxi test for rochdale and need past papers and answers, I failed my first one, any chance you can help. Are you need questions yet?